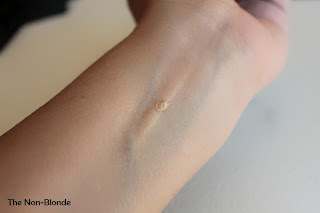 I've had this mini tube of Smashbox Sheer Focus Tinted Moisturizer SPF 15 in Luminous since last summer but never touched it, since Luminous seemed like the lightest shade (of five) for this product. Then this winter happened and somehow I've been going lighter and sheerer with my base products, so I started using Smashbox Luminous first to adjust the color of other foundations, and eventually on its own. 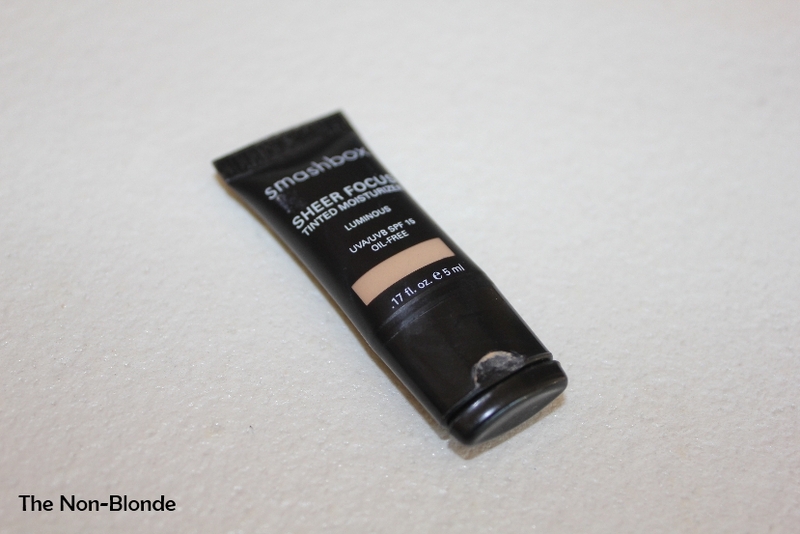 Smashbox Sheer Focus Tinted Moisturizer SPF 15 is, indeed, sheer. Luminous is not even that-- it's a tinted light-reflecting liquid that melds with the skin and gives a natural glow. Between the glow and the light moisturizing formula it is great for mixing with other products (as per Smashbox website) as well as to wear on its own over a primer. 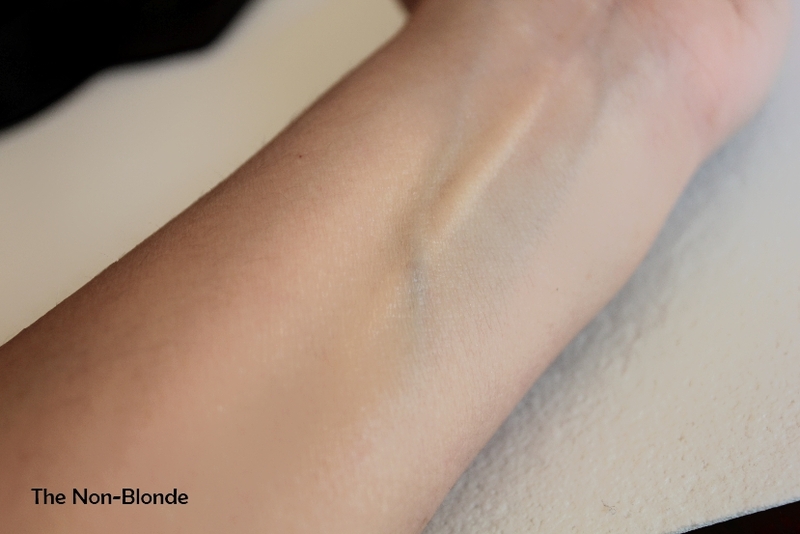 You can see in the swatch that it completely disappears once blended and doesn't leave any shimmer or particles behind. On the face it has the most subtle glow effect, so lately I've been using equal parts of Smashbox Luminous and a real tinted moisturizer for minimal coverage and an optimal skin texture, while supplementing with a good powder. Bottom Line: nice to have. Smashbox Sheer Focus Tinted Moisturizer SPF 15 ($30) is available from Nordstrom, Sephora, Ulta and smashbox.com. 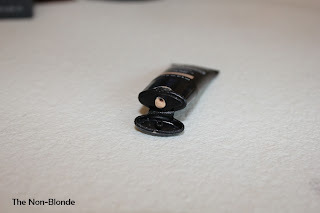 The mini tube I have was a GWP, but I can't remember from whom or why.